Services — Campbell Engineering Inc.
All parts manufactured at Campbell Engineering go through our Deburring department to assure any leftover burrs or sharp edges from the machining process are removed and smoothed out by hand to a premium finish per specification. 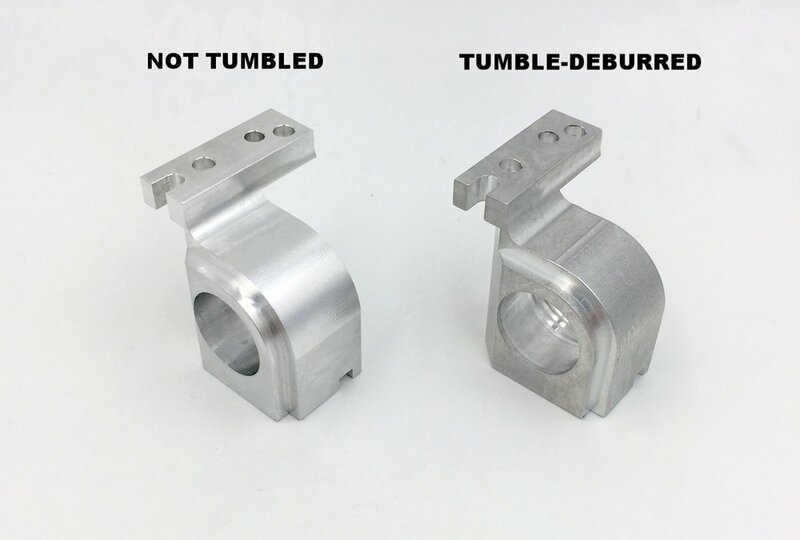 Depending on part tolerancing or customer requirements, parts may undergo a tumbling process to further smooth and polish rough surfaces and edges. This can give the part more of a speckled, satin finish (depending on tumble media used) but is often undetected after coating. The ultimate benefit of the tumbler is that it allows us to process multiple parts at one time thus speeding up throughput and reducing lead times. 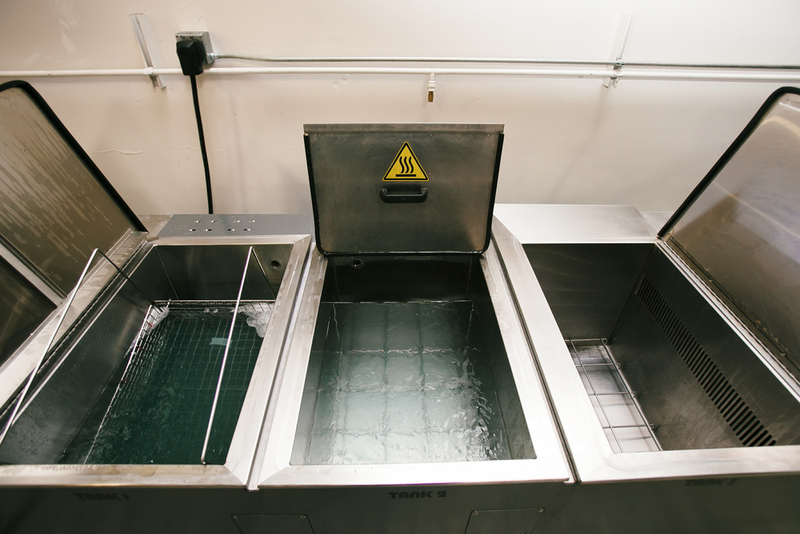 A 3-stage Ultrasonic Cleaning Station uses non-toxic ultrasonic cleaning bubbles to eradicate coolant, debris, and even microscopic grime in the tiniest crevices (including blind holes, slots and grooves which can be trouble areas post-plating). This technology eliminates the need for harsh chemicals and hand cleaning and provides a finished product that is free of all oil and debris. Don't see what you're looking for? Contact us for more information or specific requests.